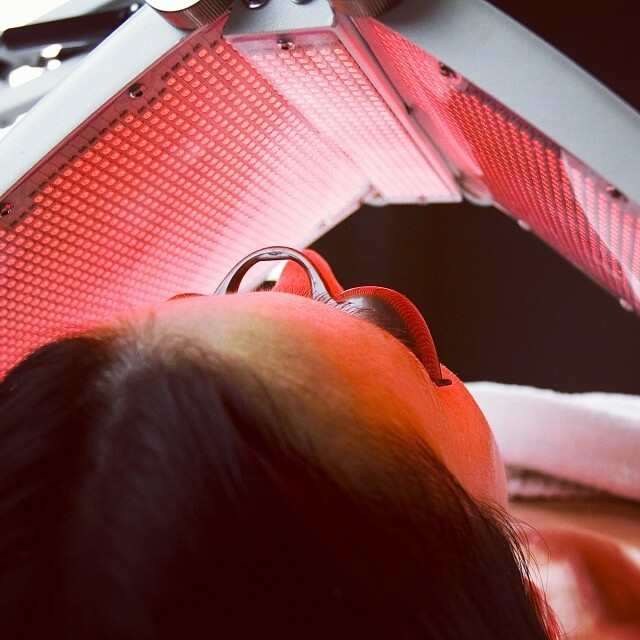 What do you think when you hear LED light therapy? Most skin care professionals will answer with two things: wrinkle reduction and acne treatment. These are in fact things that LED can effectively address, however, the real benefits have a much more fundamental and significantly wider reach, especially when LED is used with topical products that are formulated to work towards the same goals. Before we delve any deeper into this subject, let’s take a brief look at how LED works. To fully appreciate the benefits associated with any treatment, it’s important to understand what’s happening on a cellular level to generate visible change. This understanding not only helps us to identify benefits, it also provides guidance on what types of treatments and ingredients work well together to achieve results. It’s well known that when certain therapeutic wavelengths of light at appropriate intensities are directed at the skin, the body’s cells have the ability to absorb light energy and convert it to fuel. This fuel is called ATP, or adenosine triphosphate. ATP is to the body what gasoline is to your car. Without it, nobody gets anywhere. The problem is that as we age, we become less and less efficient at producing ATP from the metabolism of foods. For this reason, a supplemental cellular energy source (like LED) is a very useful thing. Sending out chemical messengers to regulate human processes like muscle contraction, signal transfer in nerves, gene expression, etc. Given these complicated tasks, it’s easy to understand why an abundant fuel supply is necessary for optimal physiological performance, including that of the skin. As we’ve learned more about the mechanism of action and cascading affects of LED, our thought process on how to use it has shifted. We now know without question that it’s not only a wrinkle reducer and acne treatment, it’s also a powerful resource for maintaining overall skin health in a more holistic manner. Any discussion about the benefits of LED would be incomplete without including the topic of inflammation. The fact that red and infrared wavelengths (630 – 940 nm) are so effective at reducing inflammation, not only makes it a useful tool for post-procedure healing, it also offers further explanation as to its effectiveness in the area of age management. It’s now well known that a great many factors including free radical exposure, glycation, and even barrier damage trigger an inflammatory process that’s not always visible on the surface of the skin. Chemicals released during this process are damaging to cell structures, membranes and DNA, ultimately contributing to fine lines and wrinkles, laxity, hyperpigmentation, and even degenerative disease. For this reason, it’s important to do what we can to keep chronic, low-grade inflammation at bay. Manufacturers instructions vary, but generally speaking, using LED 2 - 3 times per week for roughly 20 minutes per treatment is an effective and comprehensive way to do so. When used along with topical ingredients known to reduce inflammation (see below) the benefits will be even greater. Because it’s so effective at reducing inflammation, this is another example of expanded uses for LED in the field of aesthetics. LED is widely used post-procedure for microneedling, laser, injections, and even surgery. Additional post-procedure benefits include tissue regeneration, pain relief, diminished bruising and reduced redness and swelling. LED has become vastly more popular as practitioners have come to recognize it as an effective and non-invasive way to increase patient comfort and reduce down time from work and other activities after treatments that require healing. Interested in offering your clients the ultimate results for their next facial treatment? Talk to us about becoming a LightStim stockist. Call 0800 223 288 or email olivia@beautycare.co.nz for more information.